Pro camera facing "minor production delay"
Nikon USA has confirmed that there will be delays in the shipping of its new flagship full-frame DSLR, the D4, which was announced at the beginning of the year. 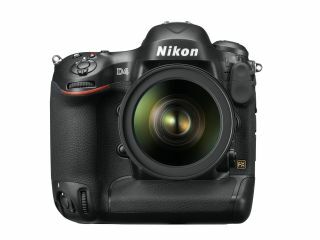 Worldwide sales of the Nikon D4 were originally expected to start in mid-February, but Nikon is now expecting that this will be pushed back, closer to the middle of March. Rumours suggested that the reason for the delay was because of a firmware upgrade. Nikon is yet to comment on this, instead stating "minor production delays" from the US team. Nikon UK has described "overwhelming popularity" as the reason for the delay. It could be good news for Canon, whose rival EOS 1DX is also slated for release in March. At the launch of the D4, Nikon was keen to point out that it would have its flagship DSLR out in the market quicker than its biggest rival, and at a cheaper price point. That said, there have also been rumours suggesting that the Canon EOS 1DX would also face a delay, with a suspected real release date of mid-April. A spokesperson for Canon UK was unable to confirm any problems with 1DX supply. Although at the time of launch, Nikon's 16 February release date was marked as "TBA" in official press releases, the company has been reluctant to offer a new expected date.